Highland’s Chase Carpenter goes up for an easy lay-up in his team’s Tuesday night win over Danville. Andrew Wheeler connected four times from long range in helping Highland to a league win over Danville. After a closely-contested first half against visiting Danville that saw his team hold a slim 27-23 lead, Highland coach Chris Powell was very happy with his players’ defensive effort in the second half. 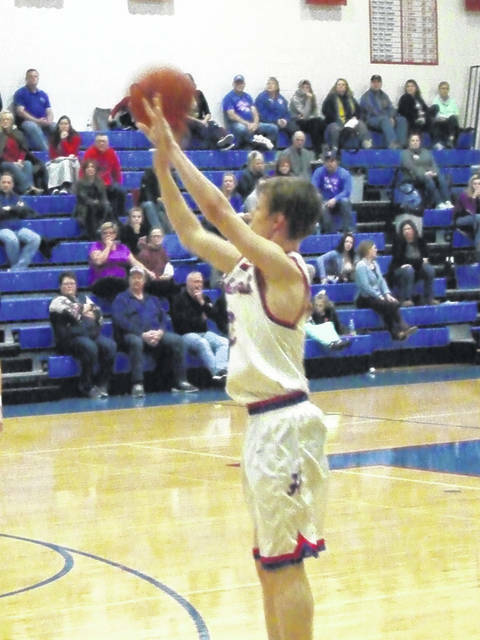 The Scots held Danville to 12 points in the second half and pulled away to finish on top by a 57-35 margin. Powell also was pleased with the effort of his team’s senior class, who led the team to a strong start in the game. Andrew Wheeler connected on a pair of first-quarter three-pointers, while Mack Anglin added four points to help the Scots jump out to a 16-9 lead after eight minutes. A steal and score by Chase Carpenter and two free throws from Noah Dado helped the Scots take a 20-11 lead early in the second quarter. Danville would battle back, getting free throws from both Dylan James and Corbin Hazen to close within five points. Skyler Moore then scored his team’s final eight points of the half to get them within a 27-23 margin at the intermission. Highland would control the action after that, though, as they pulled away for the win. Carpenter and Anglin opened the third quarter with back-to-back baskets to make the score 31-23. Danville closed within a 32-27 margin, but the Scots got five straight points by Anglin and a basket from Ian Taylor to go in front by 12. 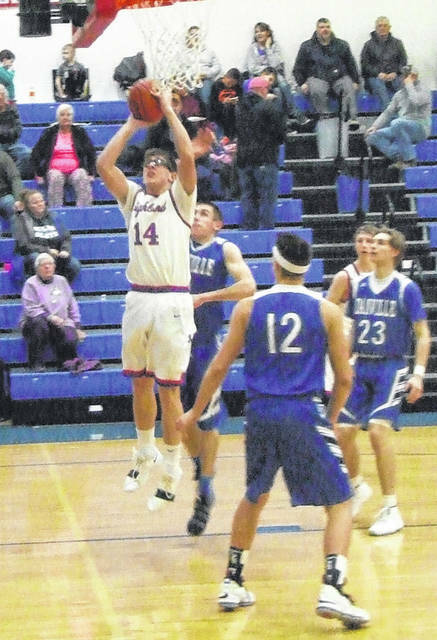 Danville got within a 41-32 score with one quarter to play, but the Scot defense kept them off the scoreboard for most of that period, as they only were able to hit three foul shots in six attempts over those eight minutes. Meanwhile, Highland opened the quarter with an Anglin steal that he turned into two points. Leading 43-33, the Scots then got a basket by Dado, a three-pointer from Wheeler and another Anglin bucket to lead by 17 with just over three minutes remaining. Wheeler would add five more points in the closing minutes and the Scots would finish the night with a 7-1 record in KMAC games, 7-6 overall. Anglin finished the game with 20 points, while Wheeler hit four three-pointers in scoring 14 and Dado added eight. Powell said that his players were very unselfish in setting each other up for shots in the game.